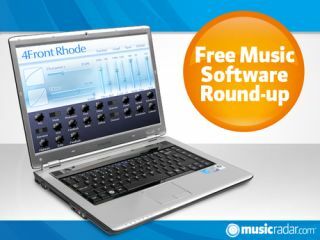 Short and sweet this week, with just a couple of companies offering new music-making freebies. Keep reading to find out what they are. Everyone needs a decent Rhodes electric piano plug-in in their sonic locker: this one (which was previously known as 4Front Rhode Pro) is synthesis- rather than sample-based and also offers 'gentle overdrive'. What's more, the developer confidently states that "this module will never overload CPU. It will never stick notes, and never interrupt the sound during live performances". This effects collection has just got three new additions: reverb, quantizer and limiter. There are also new features for the other plug-ins, including new knob graphics, more accurate VU meters and an improved phaser.